The B & B opened in September 2014. At this moment in time, we have one en-suite double room which is usually available on Thursday, Friday and Saturday nights (although other dates may be available – please see the Availability Page). 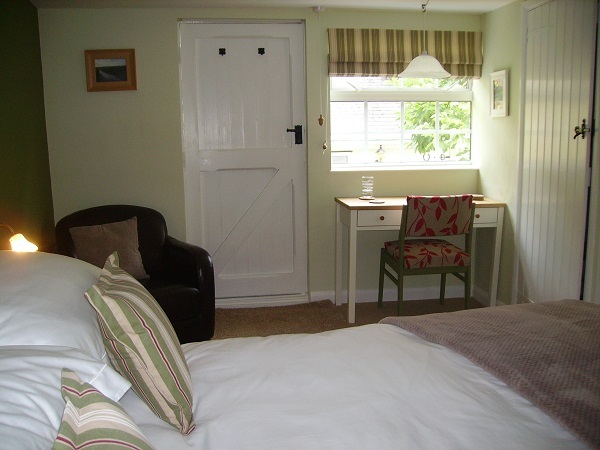 The guest room is in a separate annexe, which opens onto a courtyard and looks out into our garden, so guests can come and go as they please. 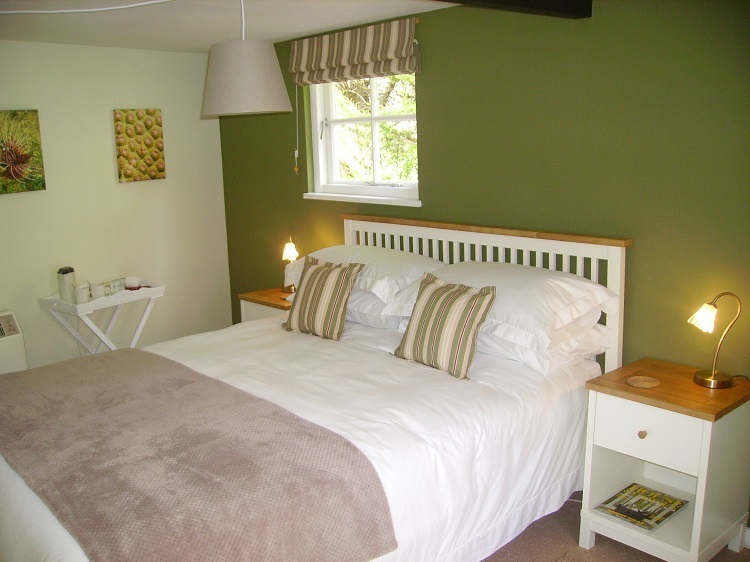 The room features a king-size bed and there is a walk-in shower with a separate en-suite toilet. 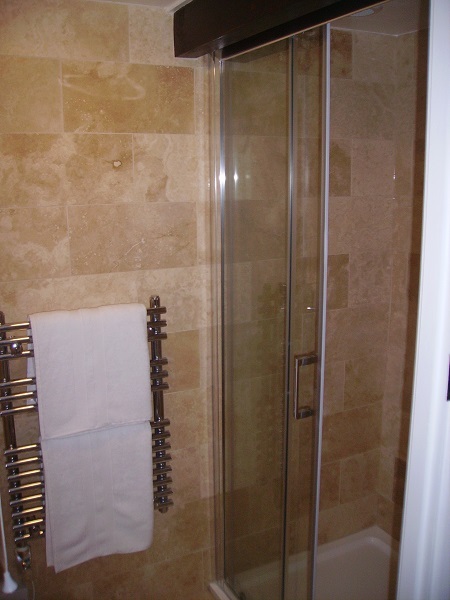 There is a TV (Freesat), free wi-fi, as well as facilities for making tea or coffee. The accommodation is for adults only, so children under 16 or pets are not permitted. Smoking is not allowed at Wisteria Cottage, indoors or outdoors.